The MAGNUM line is perfect for individuals and private security requiring larger sizes. Weighs 4. 36 ounces, 122 grams, 128. 9 ml and contains approximately 35 bursts. Has a heavy cone spray pattern and sprays up to 12 feet with the center of face as the point of aim. The MAGNUM line is available in locking-top, flip-top and holster models. Providing the world’s most reliable protection, SABRE’s maximum strength pepper spray is backed by our exclusive in-house high performance liquid chromatography (HPLC) laboratory, which eliminates the 30% heat failure rate experienced with other pepper spray brands (Source: University of Utah). This technology is the only way to ensure there are no pepper spray failures on the basis of heat inconsistency. Our HPLC technology is the industry’s #1 advantage - and it’s exclusive to SABRE. Your pepper spray will contain maximum stopping power when you need it most. Security Equipment holds the #1 position in the Pepper Spray industry based on product formulations, delivery systems, and our industry leadership position in developing safety programs for you the end user. Our Personal Safety Academy and our College Safety Program are two examples of these programs. The Expiration Date of 4 years from date of manufacture is double the industry average and is a great value – ensuring you have peace of mind for years to come. 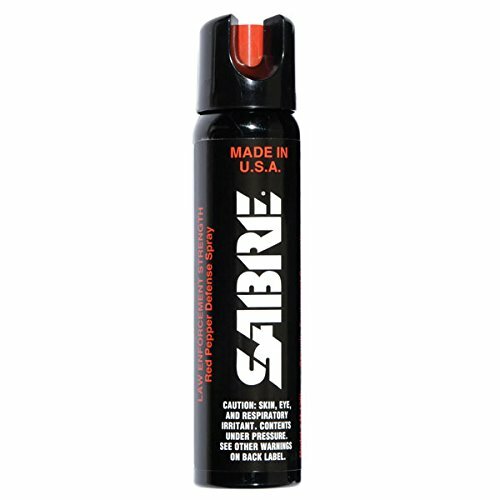 Family owned and operated for more than four decades, SABRE is the #1 pepper spray brand trusted by police and consumers worldwide. ISO 9001:2008 certified, our pepper spray is proudly manufactured in the U.S.A. Protect yourself today! ***PLEASE READ*** THIS PRODUCT CANNOT BE SHIPPED TO NEW YORK. DO NOT ORDER IF YOUR SHIPPING ADDRESS IS LOCATED IN A RESTRICTED STATE! Discover the Personal Safety Corporation Difference...Quality, Savings and Service! It is all about balancing quality and price with customer service excellence. Personal Safety Corporation has been manufacturing the highest quality pepper spray since 1991. Quality is the #1 priority at Personal Safety Corporation. 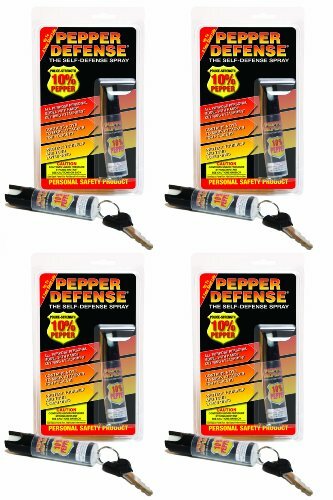 We are the originators of the 3-in-1® pepper spray formula. 3-in-1® is a registered trademark owned by PSC. 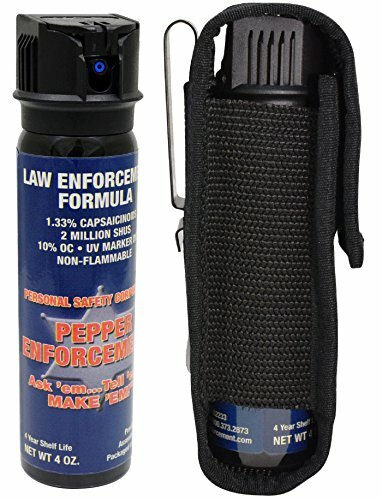 We are the only manufacturer marketing a unique 4-in-1 pepper spray formula. Personal Safety Corporation also has the only safest-to-use leatherette finger grip holster in the industry. The quality of our products is unparalleled in the marketplace. For your safety and peace-of-mind we know that quality can never be compromised. All pepper sprays carry a 4-year guarantee. 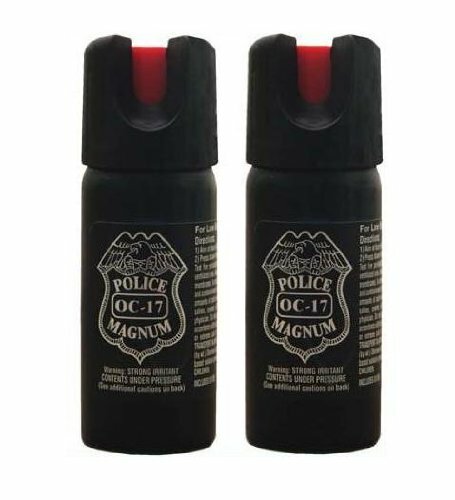 4 Piece set of Police Magnum OC-17 pepper spray. Flip top canisters and UV Dye in spray. CANNOT BE SHIPPED TO NEW YORK. Discover the Personal Safety Corporation Difference...Quality, Savings and Service! It is all about balancing quality and price with customer service excellence. Personal Safety Corporation has been manufacturing the highest quality pepper spray since 1991. Quality is the #1 priority at Personal Safety Corporation. 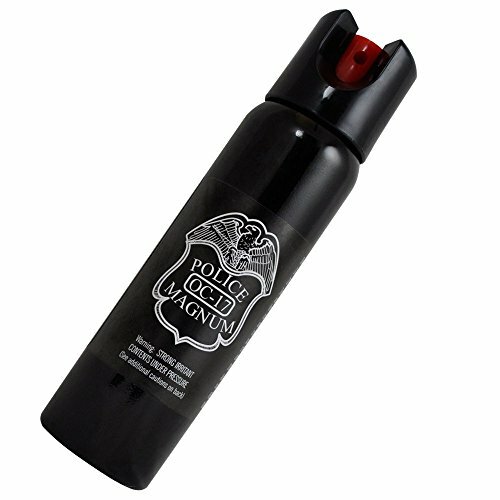 We are the originators of the 3-in-1® pepper spray formula. 3-in-1® is a registered trademark owned by PSC. 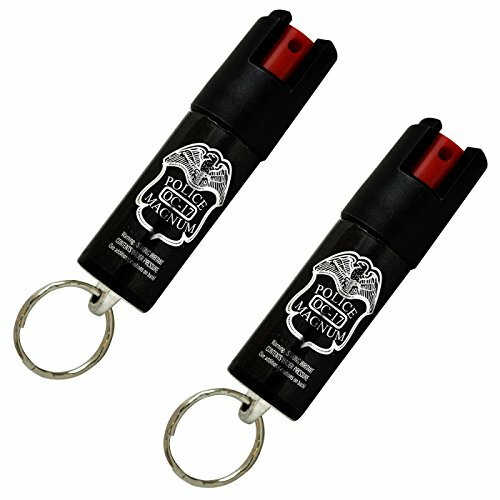 We are the only manufacturer marketing a unique 4-in-1 pepper spray formula. Personal Safety Corporation also has the only safest-to-use leatherette finger grip holster in the industry. The quality of our products is unparalleled in the marketplace. For your safety and peace-of-mind we know that quality can never be compromised. 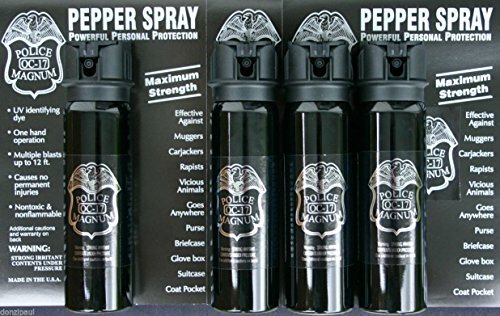 All pepper sprays carry a 4-year guarantee. ***PLEASE READ*** THIS PRODUCT CANNOT BE SHIPPED TO: NEW YORK, HAWAII, ALASKA, CANADA, PUERTO RICO OR ANY FOREIGN COUNTRIES. DO NOT ORDER IF YOUR SHIPPING ADDRESS IS LOCATED IN A RESTRICTED STATE! Discover the Personal Safety Corporation Difference...Quality, Savings and Service! It is all about balancing quality and price with customer service excellence. Personal Safety Corporation has been manufacturing pepper spray since 1991. 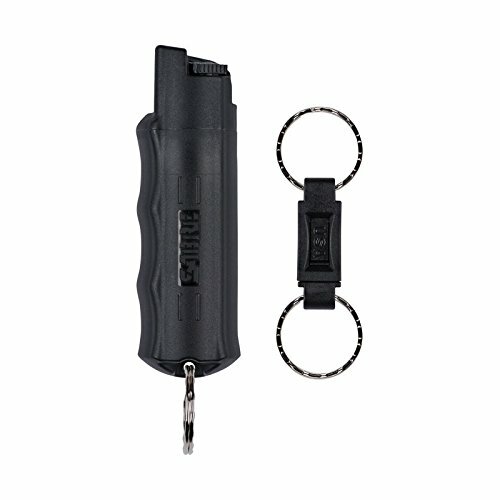 We take pride in producing the highest quality pepper spray and other personal safety products available in the marketplace. Quality is the #1 priority at Personal Safety Corporation. 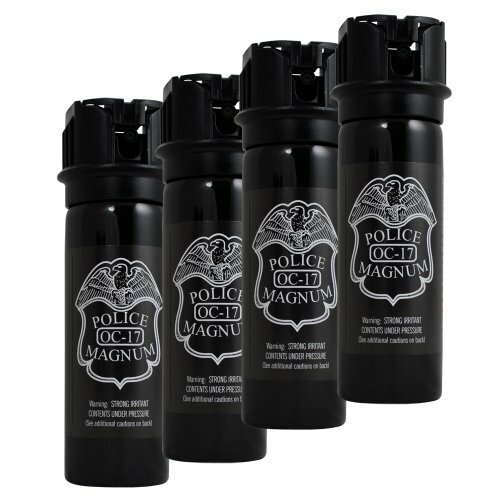 We are the originators of the 3-in-1® pepper spray formula. In fact, 3-in-1® is a registered trademark for our Secure® brand of pepper spray. 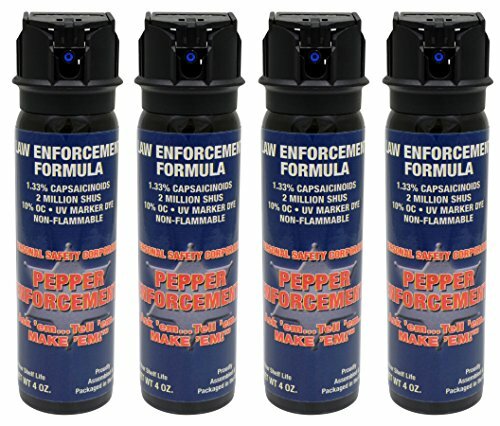 We are the only manufacturer marketing a unique 4-in-1™ pepper spray formula. Personal Safety Corporation also has the only sure-fire finger grip holster in the industry. The quality of our products is unparalleled in the marketplace. For your safety and peace-of-mind we know that quality can never be compromised. 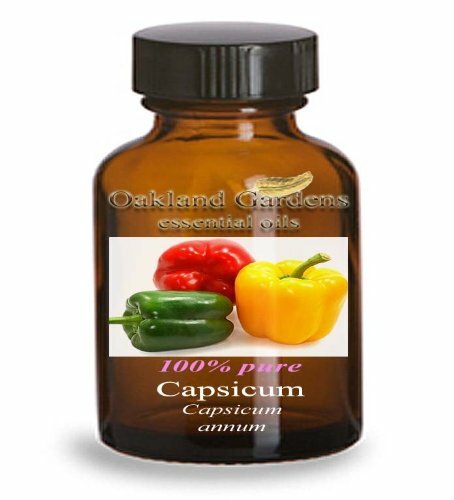 ***PLEASE READ*** THIS PRODUCT CANNOT BE SHIPPED TO THE FOLLOWING STATES: CALIFORNIA, FLORIDA, MICHIGAN, NEVADA, NEW JERSEY, NEW YORK, SOUTH CAROLINA. DO NOT ORDER IF YOUR SHIPPING ADDRESS IS LOCATED IN A RESTRICTED STATE! ATTENTION ALL PEPPER SPRAY BUYERS: PEPPER SPRAY IS LEGAL IN ALL 50 STATES. However, possession and/or use may be regulated or prohibited by law in some jurisdictions. 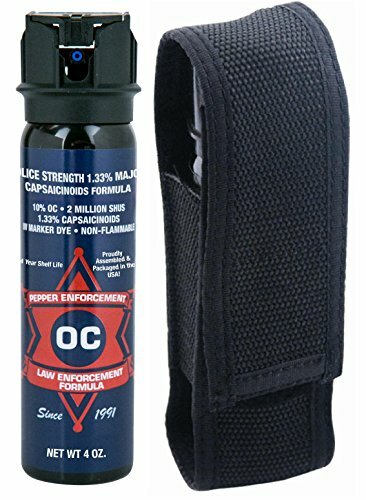 It is your responsibility to check with your local law enforcement department for specific laws related to the possession and use of pepper spray in your city or county BEFORE purchasing a pepper spray product. Discover the Pepper Enforcement Difference...Quality, Savings & Service. It is all about balancing quality and price with consistent "made to order" pepper spray. We produce your order upon receipt and ship freshly made product with a guaranteed 4-year shelf life. 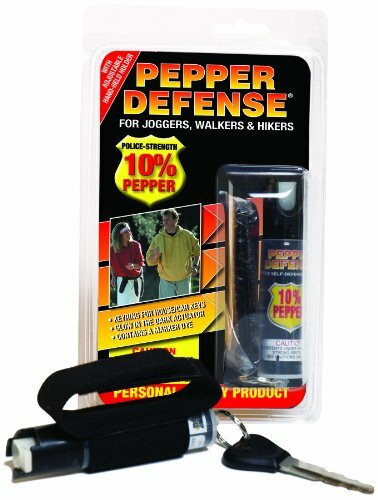 At Personal Safety Corporation we know that our customers require the highest quality and most dependable pepper spray available. Pepper Enforcement...When You Need The Best!